Embassy Suites by Hilton and Key International have opened the Embassy Suites by Hilton St. Augustine Beach Oceanfront Resort in St. Augustine Beach, FL. Owned and developed by Key International and managed by Hospitality Ventures Management Group, this upscale resort is a 175 all-suite property consisting of two-room suites and studio suites. The resort also offers designated family suites with bunk beds. The property has more than 20,000 sq. ft. of meeting space, including a 5,200-sq.-ft. oceanfront ballroom with outdoor terraces. Additional amenities include beach access a 24-hour convenience market, a 24-hour business center, a 24-hour fitness center, an outdoor resort-style pool with a poolside bar, watersport activities and valet service. The 107-room Fairfield Inn & Suites by Marriott in Wellington, FL is now open. The Fairfield Inn & Suites Wellington West Palm Beach is owned by Brefrank Inc. and managed by Marriott International Inc. Located in Wellington Green, in the Village of Wellington the hotel is close to Palm Beach International Airport. 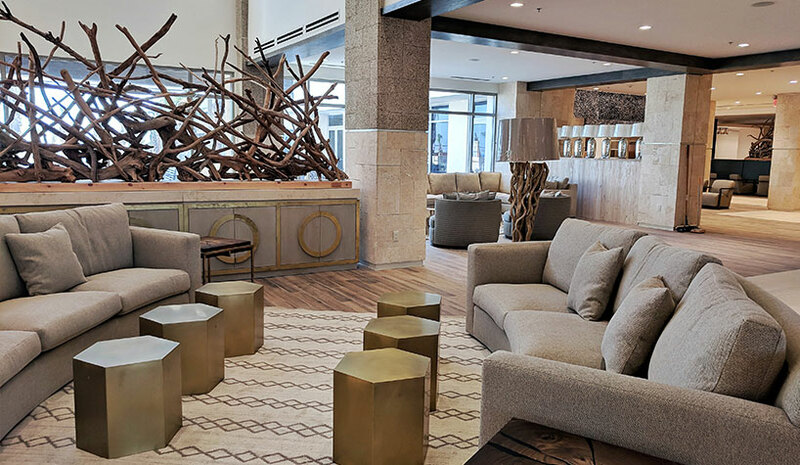 Hotel amenities include an outdoor swimming pool, a fitness center, an outdoor fire pit, valet laundry service, complimentary WiFi, as well as fax and copy services and has 746 sq. ft. of meeting space to accommodate functions of up to 49 people. Marriott International’s TownePlace Suites by Marriott Vidalia is open in Vidalia, LA. The hotel will operate as a Marriott franchise, owned and managed by Desai Hotel Group of Ridgeland, MS. The TownePlace Suites Vidalia is close to the Vidalia Conference & Convention Center, the Vidalia Riverfront Amphitheater, Natchez National Historical Park and the Natchez Convention Center. Designed by Celia Barrett Design, the new property has studio, one- and two-bedroom suites with fully equipped kitchens, as well as separate living/working and sleeping areas. Other hotel amenities include an outdoor swimming pool, a fitness center, laundry facilities and business services. The SureStay Plus Hotel by Best Western Roanoke Rapids is opening its doors in Roanoke Rapids, NC. The hotel has 63 guestrooms and 17 suites. The SureStay Plus Hotel by Best Western Roanoke Rapids also offers a fitness center, outdoor pool, meeting room for up to 30 people, complimentary full hot breakfast and free WiFi. The property is close to Carolina Crossroads entertainment center, Roanoke Rapids Theatre, Lake Gaston, Medoc Mountain and the Roanoke River. The SureStay Hotel by Best Western Phoenix Downtown is opening its doors in Phoenix. The newly renovated SureStay Hotel by Best Western Phoenix Downtown has 36 guestrooms, complimentary breakfast, free WiFi and an outdoor patio. The property is close to Talking Stick Resort Arena, Chase Field, Phoenix Convention Center, several theaters and museums and a variety of restaurants. Sky Harbor International Airport is also close by.